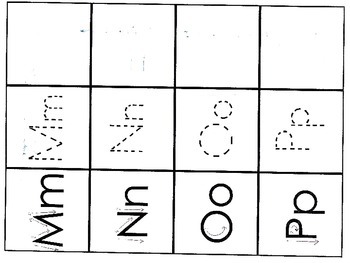 With the letters there are bold faced letters in order for the students to trace over them. 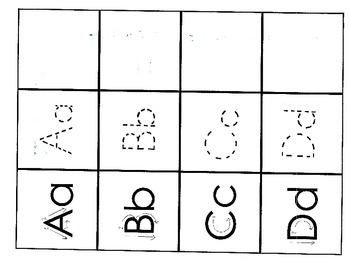 Next there are dotted line shapes for the students to trace over them. Finally there is a blank box in order for the students to free hand the letters. All of these are done with three boxes right in a row. I used these in preschool setting using a filefolder that I laminated. You can also put them on sheet protectors and use dry erase markers. Or make copies of them.